Spring is here, and that means it’s time to get out of the house and take in all the life bursting forth from the ground. These outdoor explorations not only allow you to see your city in a whole new light right alongside your dog, they’ll also let your furry best friend burn off all that spring energy he's enjoying, thanks to nutrient-dense Nature’s Recipe® dog food. Maybe you two will even begin training in a new activity together -- whether it’s jumping, retrieving, or... dancing? Read on to see the ways you and your dog are going to make this season into the adventure it’s meant to be. Think your dog is the best pup in the world? Well don’t settle for being big dog in a small pond -- take your friend to the World Dog Expo on June 9 and 10. This event is open to everyone and every dog -- take a look around, get inspired by some of the skill competitions, and even pick up some tips from professional trainers and classes. 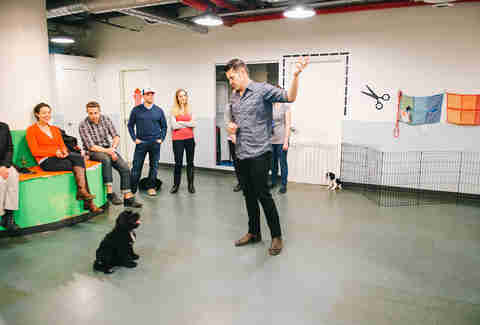 Who knows -- maybe with a little inspiration and practice, your dog could be eliciting the crowd’s “ooohs” and “awwws” on stage next year. And for those worried about bathroom breaks limiting your time inside, don’t fret -- there are potty areas throughout the expo for humans and dogs alike. Going to the park is a surefire way to enjoy your time outside with your dog. But if you end up with the dog park to yourselves, you might be missing out on some quality socializing for your dog (and for you). 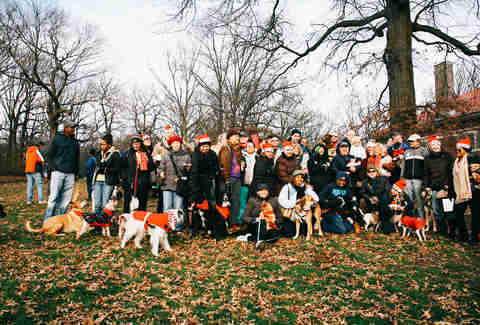 Every first Saturday of the month in Prospect Park, Coffee Bark is a free get-together for owners and pets alike, with pastries, dog biscuits, and plenty of info on off-leash activities available from other like-minded owners. Maybe your best buddy will meet his new best four-footed friend, and they can happily share a bowl of high-quality Nature’s Recipe® dog food to fuel their fun day together. Go in April to take advantage of another bonus -- you and your dog can take in the beauty of Prospect Park’s cherry blossom trees as they start to bloom. Being a parent -- whether it’s for babies or puppies -- has some tough moments. For city dog owners, getting a pupper used to the many sounds and distractions of the city can be an ordeal -- one that might involve lots of barking and stress for your little friend. The Wag Club hosts a special Wine ‘N Puppies class every Monday evening to get you both through this tough time. For the pups? The instructors will help train them in social interactions and playing nice with the world at large. For the pet parents who might feel stressed watching their babies on a virtual puppy playground? A nice glass of wine to ease the nerves. Attendees have given the event rave reviews -- and reported great improvement in their puppy’s development into a well-acclimated city dog. Puppies from 3-16 months are welcome to attend. It’s not every day that you get a chance to do some good with your dog, but on April 4, you and your best friend can head to Lancaster Fairgrounds and make a difference. The Whisker Walk benefits a number of New England animal shelters and rescue groups, so you’re doing good simply by taking much-needed walkies! In addition to helping dogs in need, you and your four-legged friend can partake in any number of fun and helpful activities -- visiting the petting zoo with your kids, getting free rabies shots, entering raffles, or even on-site microchipping. Every spring, the Cherry Blossom Festival aims to plant 100 Cherry Blossom trees as a means of both beautification and international exchange. 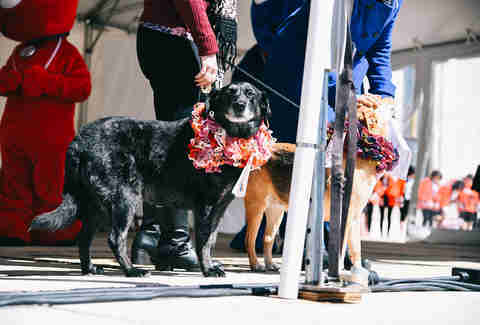 The festival offers attendees the chance to learn about Japanese culture as well as celebrate the coming of spring -- and dogs are very welcome to do the same. The Pups in Pink Parade is specifically designed to let your dog strut his stuff in whatever attire you like. Judges will be taking in the costumes, and if you’ve got your doggie couture game on point, you and your best friend might just trot onto the winner’s podium. Win or lose, all participants will walk away with a swag bag as thanks for coming out, and proceeds will go towards the Nashville Humane Society. Sometimes, taking your dog out to an event is good clean fun. But what if you guys want to get a little down and dirty? For those owners who don’t mind a little dirt under the fingernails, the Nashville Mud Run on May 5 is a great opportunity to go out and get some great exercise -- and now the “Dirty Dog” division lets you and your pet tackle the course together. This is a leashed event, and some restrictions apply -- but if your dog can meet muster, it’s a great way to get some rough-and-tumble fun. Sanctioned muddiness is reward enough, but before you head out, make him happy with a bowl of Nature’s Recipe® dog food. Its natural ingredients with added vitamins, minerals, and nutrients will help him power through the day's adventure. Dogs love the taste, while you'll love the healthy ingredients that provide energy for an adventurous pup's life. It’s not every day that you get to be a philanthropist by putting a drink in your hand -- especially if you’re holding a leash in the other. But that’s exactly what the Pints for Paws fundraiser offers: 20 breweries coming together to run an event where 100% of the proceeds go towards Berkeley Humane. But while the June 3 event is helping to support pups in need of a home, it is definitely open to all human and dog members of your household. There’s any number of outdoor adventures for doggie adventures in the Seattle area, but the best bets often fill up quick in summer. Why not explore one of Seattle’s closest and most beautiful parks before the rush? 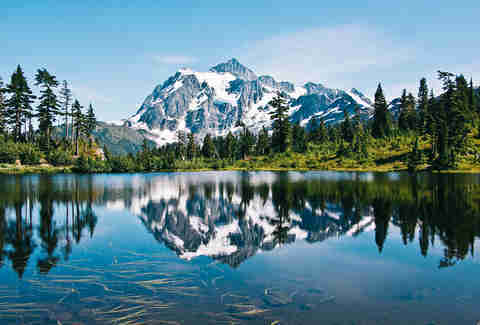 Or head to Silver Springs in Snoqualmie National Forest -- their glacial peaks and old growth forests are yours to explore via a number of dog-friendly trails. Even better: undeveloped areas of the forest don't have leash requirements, so your dog can enjoy life to the fullest, which is almost certainly the same thing as chasing squirrels. There’s always an opportunity to learn something with your dog; sometimes you teach your best friend a few tricks, and every once in a while they teach you a few things about friendship. But maybe it’s time to take a little lesson in history instead. The popular Slabtown Tours' standard routes are all available for leashed dogs and their humans. Sniff out some history at historical sites of the Lewis and Clark Centennial Exposition, the Vaughn Street Ballpark, or even the world’s greatest log cabin -- all with your dog at your side. While Chicagoland has plenty of great dog parks, sometimes you need a little escape from the city life. 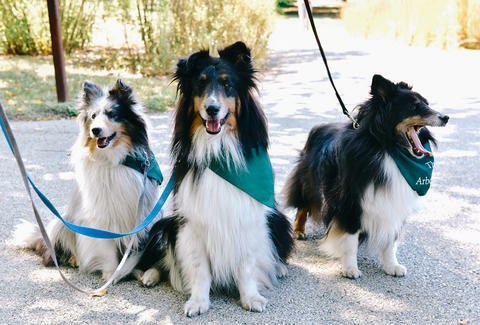 Get deep into nature by taking your pup out to the Tails on the Trails event at Morton Arboretum on May 5. With over sixteen miles of trails, the Arboretum offers plenty of space for you and your dog to hang out with the crowd or to just do your own thing and soak up some much-needed nature. 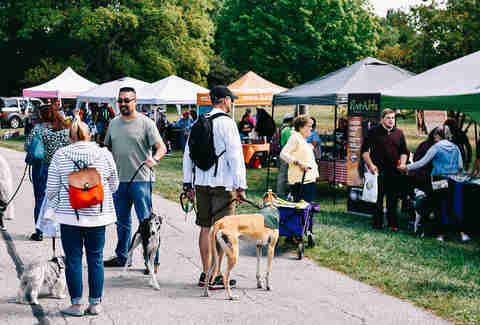 Local vendors will be on hand selling doggie accoutrements, and there are even contests with prizes, where you can answer the question that’s always been in the back of your mind: Is your dog the fastest peanut butter licker around? The event officially starts at 10, but dogs and humans can arrive as early as 7am if you want to avoid the crowds. Sure, your friend made a video dancing with their doberman and everyone thought it was amazing. But on April 28 and 29, you and your dog could make that look like child’s play. For those unfamiliar, the World Canine Freestyle is the organizing body for those who have truly taken their fido footwork to the next level. Owners and dogs can compete in several divisions, and the level of talent is truly inspiring. The organization describes performances as “traditional dog obedience and the art of dressage with the inclusion of musical interpretation, dance elements, and costuming with an emphasis on non-standard obedience movements,” but we think the more succinct summary is a little down the page: “a showcase that truly demonstrates the joys and fun of bonding with your pet.” Fair warning though -- only dogs that are competing can be crated in the building, so you’d better start practicing your two-step (and four-legged step) if you want to qualify. Keep seeking fun! Spring is when pent-up energy explodes into a world waiting for a dog to explore it alongside his pet parent. To see your dog thrive out there, explore it together after a big bowl of Nature's Recipe® dog food.